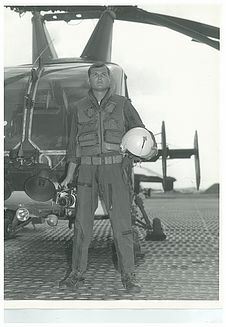 Ken was raised in Kansas and arrived in Colorado as a member of the USAF, stationed at Lowry AFB in 1965. After serving in Vietnam as a combat photographer, he worked as a cameraman for Cessna Aircraft in Kansas. 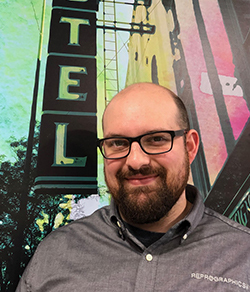 After 2 years in Wichita, he returned to Colorado and worked for a civil engineering company in Fort Collins for 6 years, again as a cameraman and graphics arts photographer. 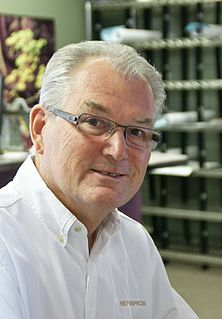 In 1975, he was offered a job in a cattle-breeding magazine as a cameraman and eventually offered a chance for a partnership, which led to Ken buying out his partner and starting Reprographics, Inc in 1976. Kens other talents include photography both commercial and amateur. He is a furniture designer and builder, a home designer and builder of his own residences over the years, he is a “street rodder” building his beloved cars from the dirt up. His personal favorite of all the cars he has built is the 61 Chevy Belaire BubbleBack which he can be seen driving around town when the weather is perfect. Ori is a proud native Coloradan and loves equally the mountains and the plains. Born and raised in Denver, she graduated from CU, however three of Ken and Ori’s four sons attended CSU so feel she also qualifies as a Ram Fan. Over the years Ori has created the Client Development department for Reprographics where the work of marketing, networking, and sales keeps her busy. Ori’s can-do personality brings a unique approach to her position, she treats everyone like they are family and that seems to work. Her philosophy is simple – treat people with dignity and do a good job at a fair price and you will keep them as clients for ever. Personally, Ori is a devoted life-long-learner and reader. 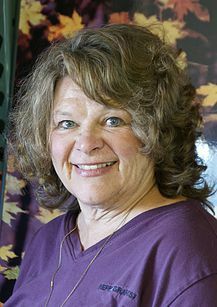 She has been a birder since she was two years old and enjoys the shared family mountain cabin as well as their prairie home in Burns WY. She is a keen photographer and Ken says she has thousand of digital prints that she will offer to show you at any time. Originally from Boston James now makes his home in Fort Collins. 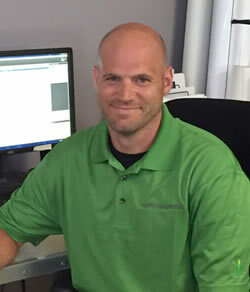 Reprographics blueprint specialist for over 5 years James probably prints out more blueprints than anyone else in Northern Colorado. Graduated from the College of William Mary in 2001 James is a budding writer so keep an eye out for his name on the best seller lists. 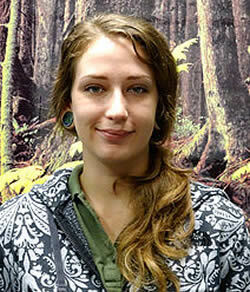 A recent arrival to Colorado, Katie moved from Florida to pursue a passion for the outdoors and hiking. She graduated from the University of South FL in 2011 with a BA in Anthropology and Environmental Policy, and shares an appreciation for traveling and meeting new people. When she’s not making daily deliveries or helping around the shop, Katie enjoys painting and illustration, and is an active member of the local art community. 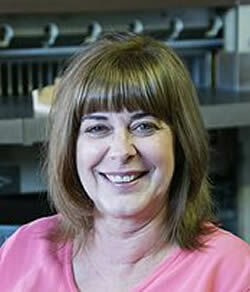 A collector of hobbies, she also enjoys archaeology, gardening, and cooking. Another native Coloradan Linda has lived all over the US and is happy to be back home. The lady of finances at Reprographics Linda is a stickler for detail with the books and her intricate lace and needlework. 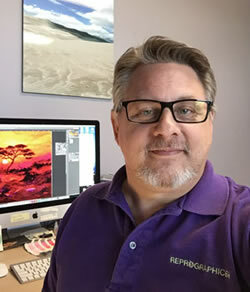 Curtis is Reprographics General Manager and Color Specialist. A native Coloradan and avid Bronco’s fan Curtis also loves hiking the spectacular Rockies. He is a great amateur photographer, however he lists relaxing and with friends and his lovely wife, four children and two grandchildren as his favorite hobby. Brian is from Omaha Nebraska and is a huge Husker fan. 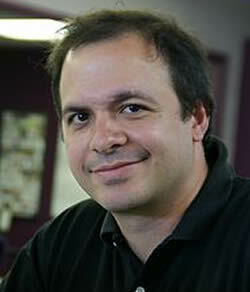 He graduated from the University of Nebraska at Kearney in 2006 with a Park and Recreation Management Degree. He moved to Colorado shortly after for rock-climbing and all of the outdoor activities that Colorado has to offer. He loves hanging out with his wife and 3 year old daughter while enjoying Fort Collins vibrant downtown filled with music, food, festivals and kids water splash parks. Jake is a Colorado native, growing up in Greeley. He graduated in 2013 from the University of Northern Colorado with a degree in Business Marketing. After college, he spent two years in Oregon, but soon moved back home as you can’t beat Northern Colorado. Jake is a movie buff, keen traveler, an enthusiastic cook, and an amateur woodworker.